The past Legislative Committee Chair for IRTA, Dennis was the 29th President of IRTA and is Past President. He retired from teaching in 1999 after having taught music for 33 years for the Batesville Community and Sunman-Dearborn Community school corporations. 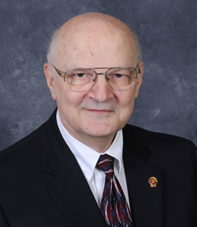 He has served on numerous IRTA committees and is active member of the Batesville Community Church, Dearborn County Historical Society, the Batesville Historical Society and the Dearborn Retired Teachers' Foundation. Dennis and his wife, Betty, live in Batesville and have two children and three grandchildren.